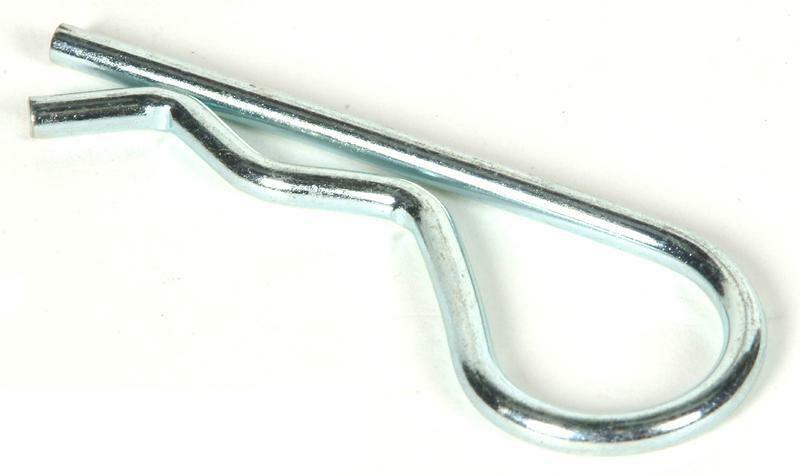 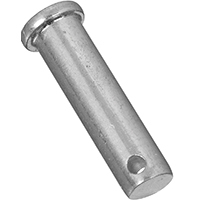 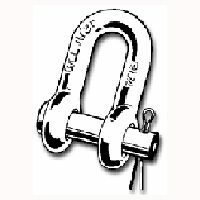 Wire Rope Clips - Guy Wire 1/4" Wire Rope Clips - Guy Wire 1/4"
Wire Rope Clips 1/4" - Our Galvanized Iron Rope Clips are strong and tough. 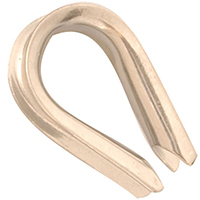 Below is more info on our Wire Rope Clips - Guy Wire 1/4"
WIRE ROPE CLIP Electro-galvanized malleable wire rope clip Packed loose with ID tag Do not use on coated cable - if used on coated - cable, remove the coating from assembly area Do not use for overhead lifting or hoisting Do not use if visibly worn or distorted DO NOT EXCEED THE WORKING LOAD LIMIT (WWL) Follow assembly instructions T7670409 1/16 IN. 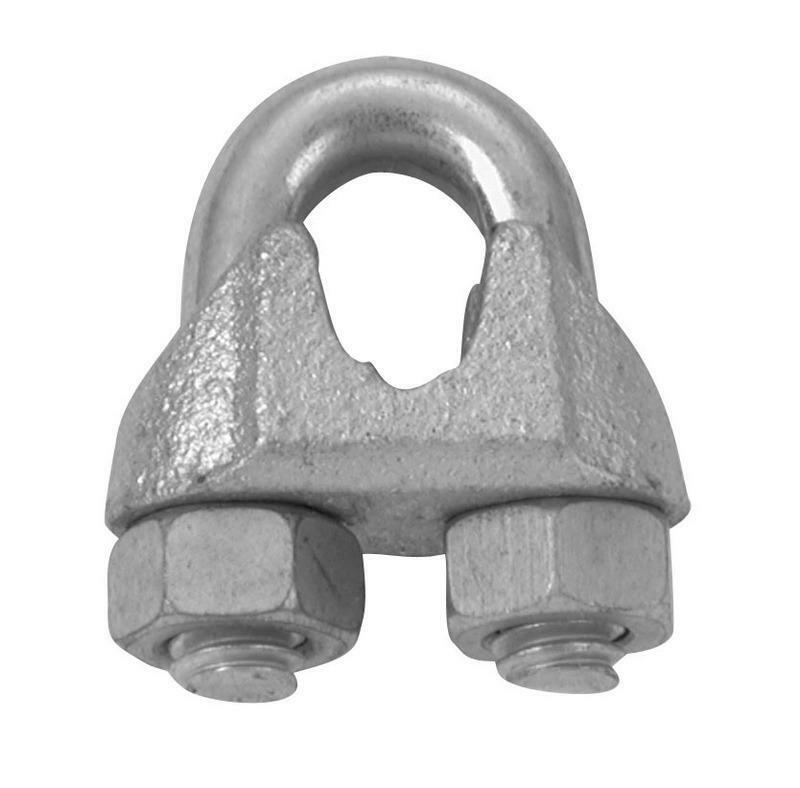 WIRE ROPE CLIP SIZE:1/16"
WIRE ROPE CLIP Electro-galvanized malleable wire rope clip Packed loose with ID tag Do not use on coated cable - if used on coated - cable, remove the coating from assembly area Do not use for overhead lifting or hoisting Do not use if visibly worn or distorted DO NOT EXCEED THE WORKING LOAD LIMIT (WWL) Follow assembly instructions T7670479 1/2 IN. 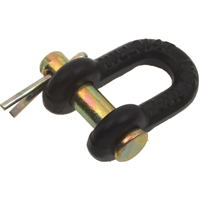 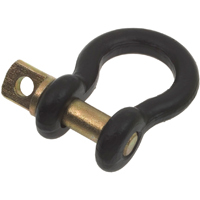 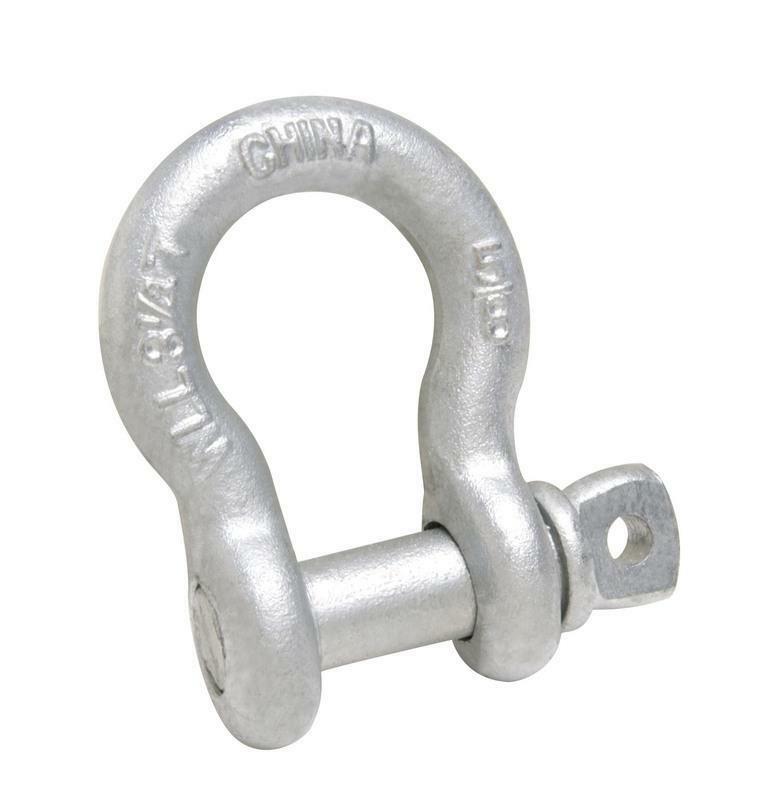 WIRE ROPE CLIP SIZE:1/2"
3248BC DOUBLE CLEVIS LINKS For use with chain Boxed loose Zinc plated Do no use for overhead lifting, support of- human weight, athletic or playground equipment When safety is involved, consult manufacturer Inspect frequently 3248BC 3/8 IN. 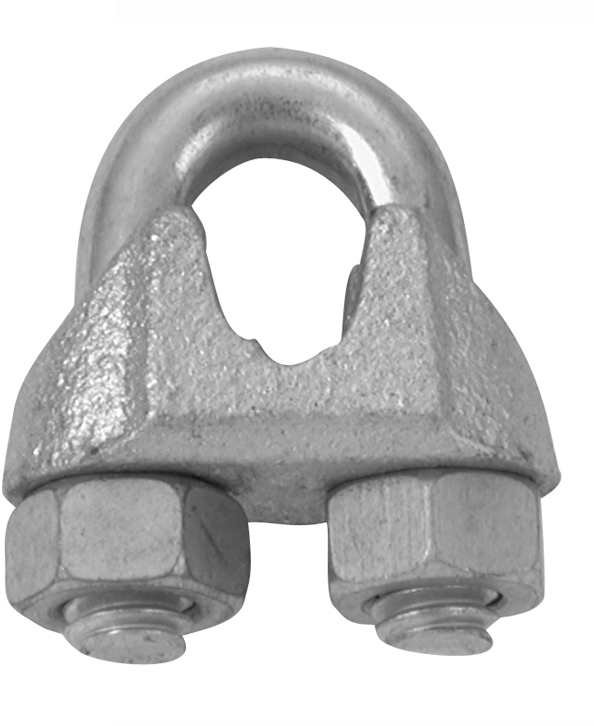 DBL CLEVIS LINK SIZE:3/8" LOAD LIMIT:5,400 lb. 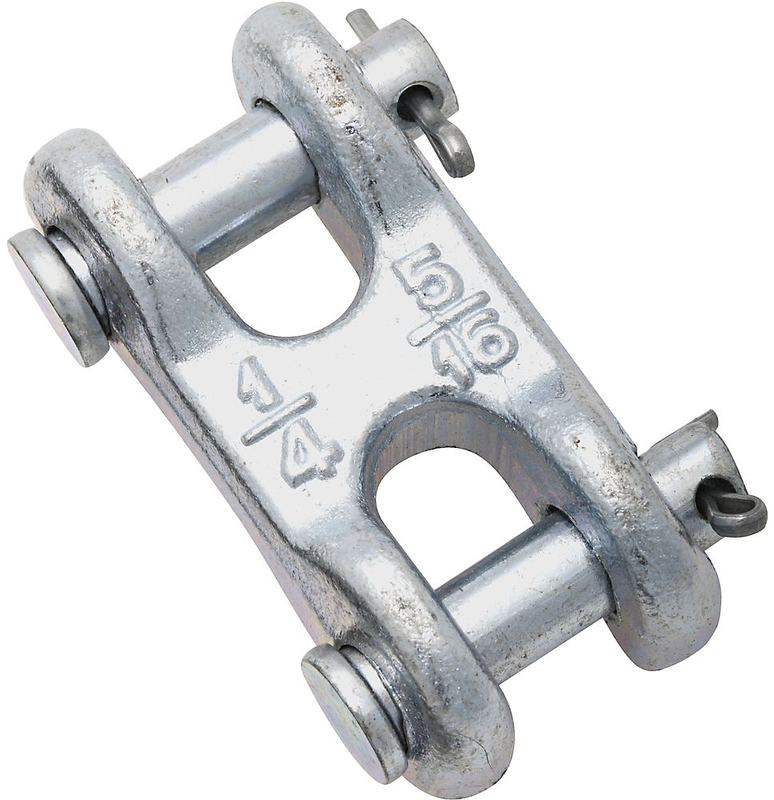 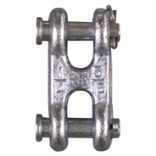 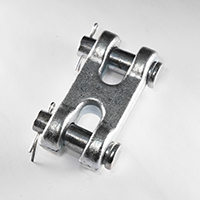 3248BC DOUBLE CLEVIS LINKS For use with chain Boxed loose Zinc plated Do no use for overhead lifting, support of- human weight, athletic or playground equipment When safety is involved, consult manufacturer Inspect frequently 3248BC 1/4X5/16DBL CLEVIS LINK SIZE:1/4" & 5/16" LOAD LIMIT:3,900 Lb. 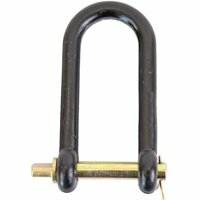 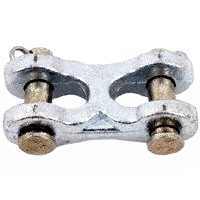 3248BC DOUBLE CLEVIS LINKS For use with chain Boxed loose Zinc plated Do no use for overhead lifting, support of- human weight, athletic or playground equipment When safety is involved, consult manufacturer Inspect frequently 3248BC 1/2 IN. 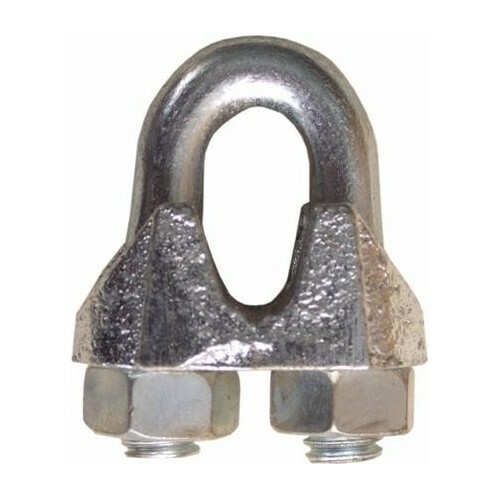 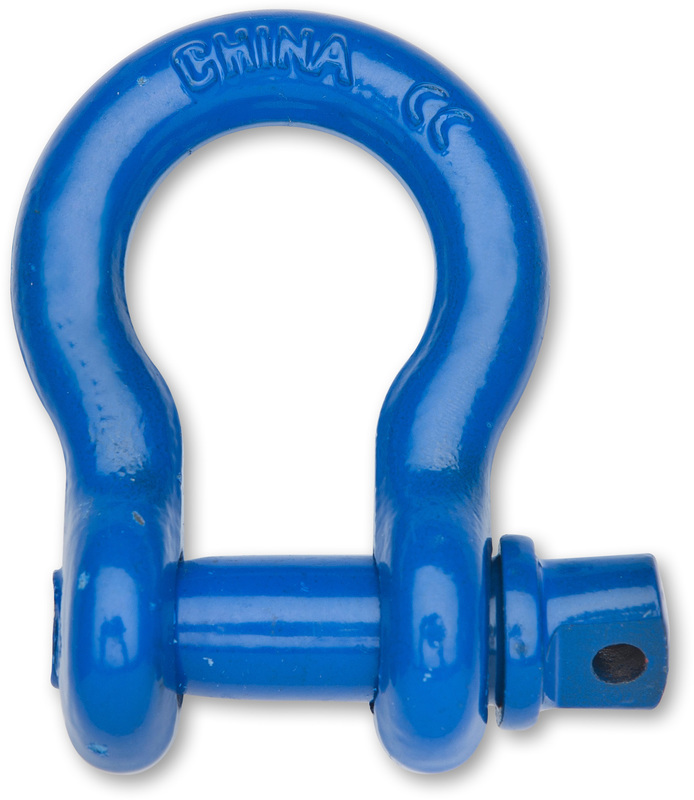 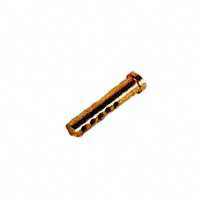 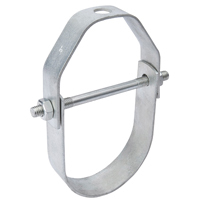 DBL CLEVIS LINK SIZE:1/2" LOAD LIMIT:9,200 Lb.